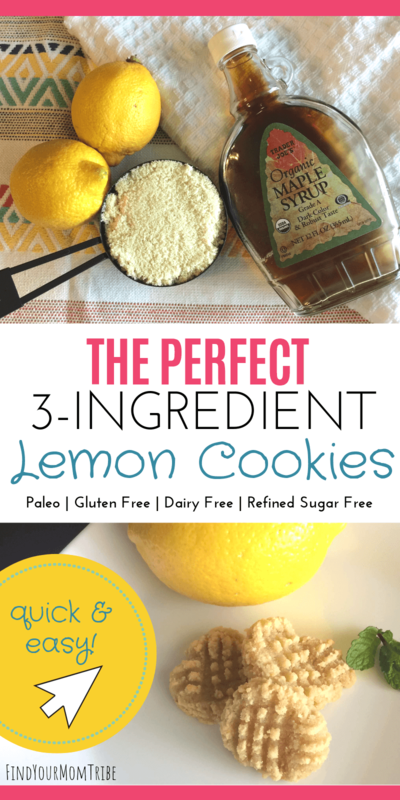 Looking for a delicious, easy lemon cookie recipe that’s clean eating, Paleo-friendly, and doesn’t contain any weird ingredients? Well, today’s your lucky day, friend! 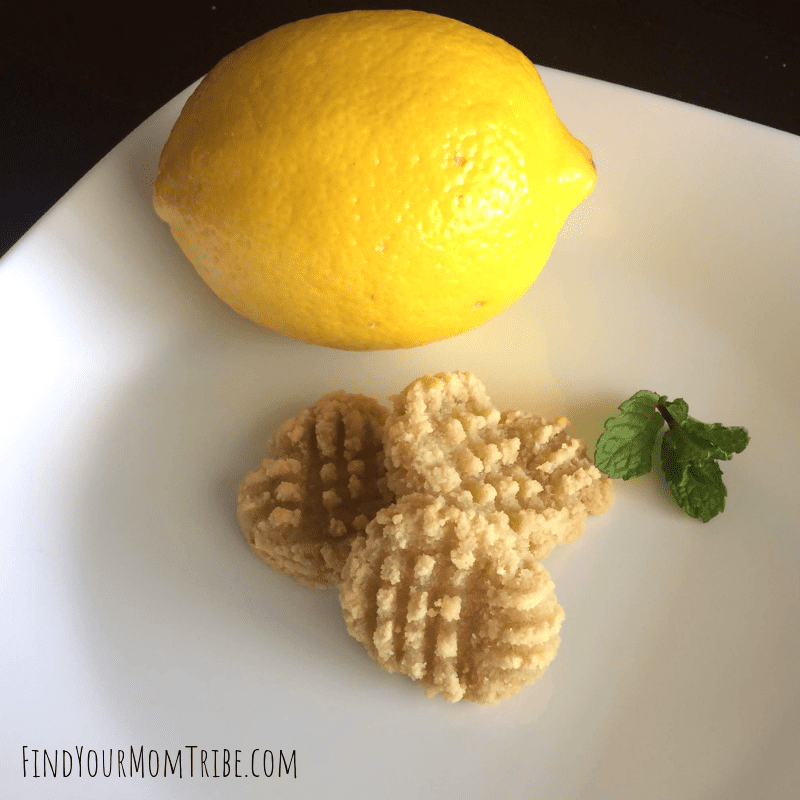 I’ve got the easiest recipe for soft, buttery, sweet and slightly tart lemon cookies. I’ve been on a pretty big health kick lately, but I find myself missing sweet treats. These are the perfect batch of lemon cookies to satisfy your sweet tooth. They feel decadent and sinful, yet are completely clean! In fact, I bet even your non-paleo friends won’t be able to tell these are lemon cookies that are actually good for you! I’ve been tweaking this recipe, mainly for my dad. He went paleo a few years ago. Normally I make him lemon pie for his birthday because he loves lemon flavors. He’s been really helping me out lately, since we are getting ready to sell our house, and I made him a batch of these 3 ingredient lemon cookies as a small gesture of thanks. I wasn’t sure how they’d turn out, but he loved them! 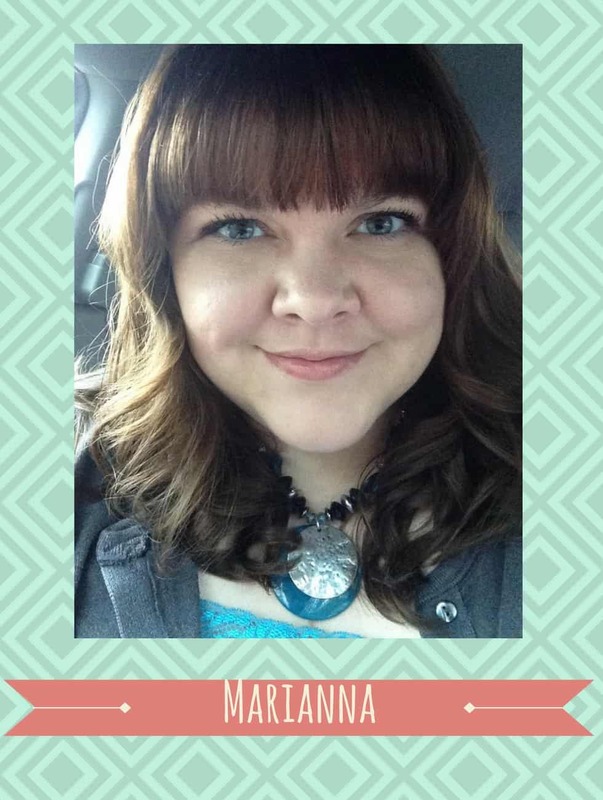 My toddler and I also loved them…I’m going to have to make a double batch next time! 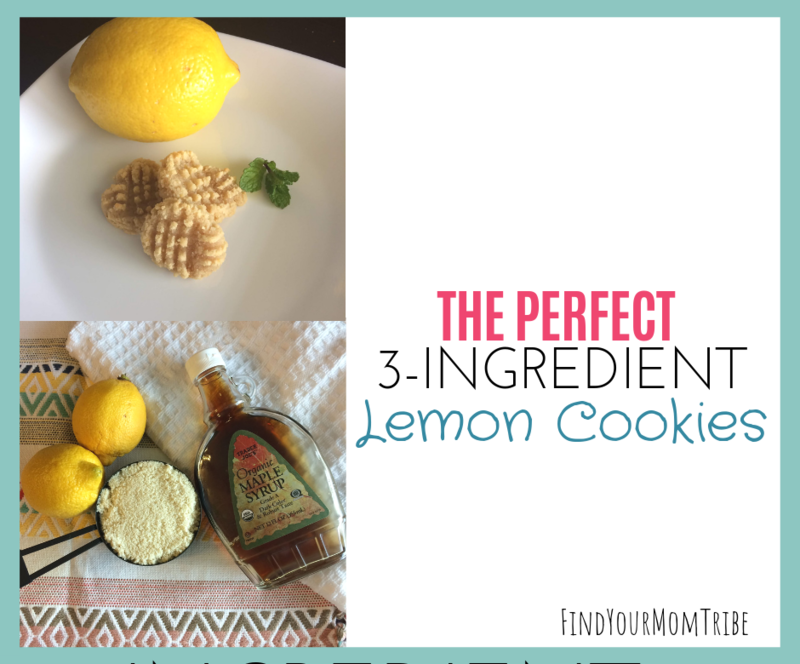 How to make the perfect 3 ingredient lemon cookies step-by-step. That’s it! (I know, crazy, right?!) Personally, I think the best part of this recipe is, you likely have all this stuff on hand! No weird ingredients needed! 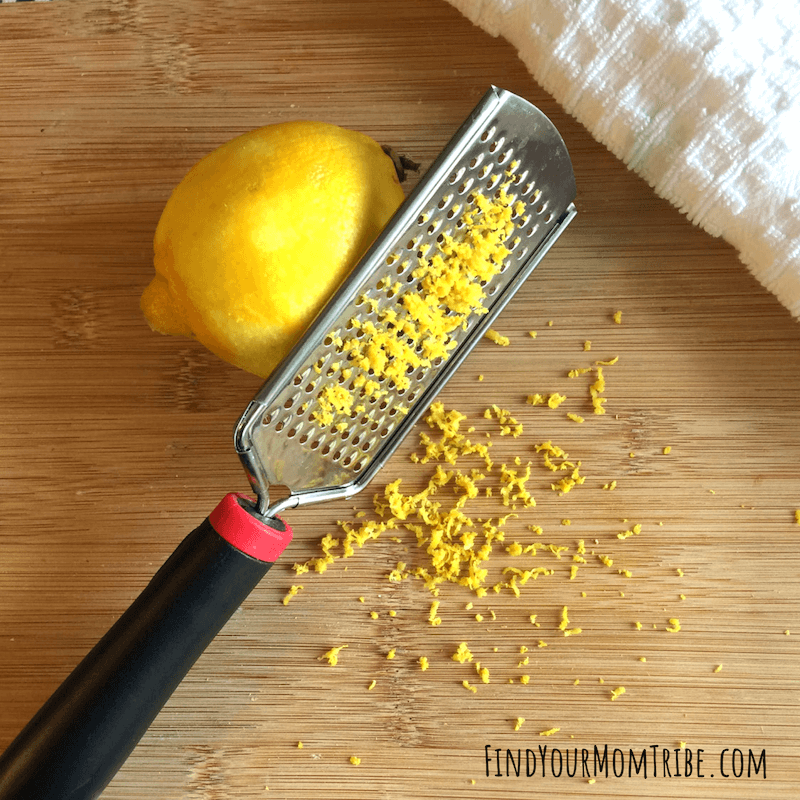 It may be tempting to skip this step, but I promise you it’s worth it to add in the zest of one lemon. It really packs in the flavor! Just be careful not to zest too deep, as you’ll get the pith (white layer). Set aside your zest and squeeze the juice of one lemon. Yes, you can use bottled lemon juice, but fresh is tastier. 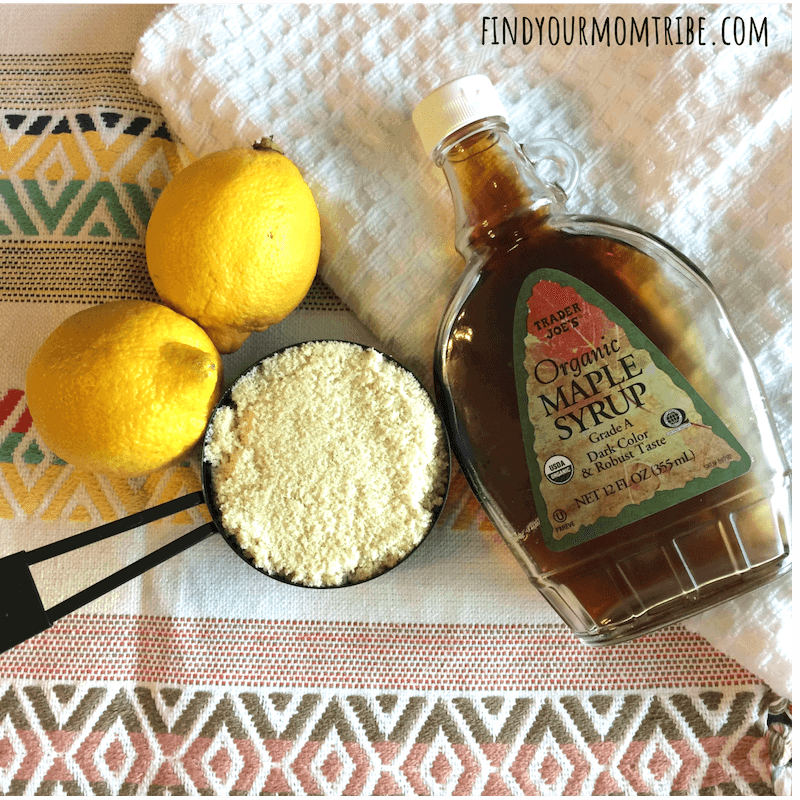 Take your lemon zest, 1 cup of almond flour, and 1/4 cup of maple syrup and mix them together by hand. 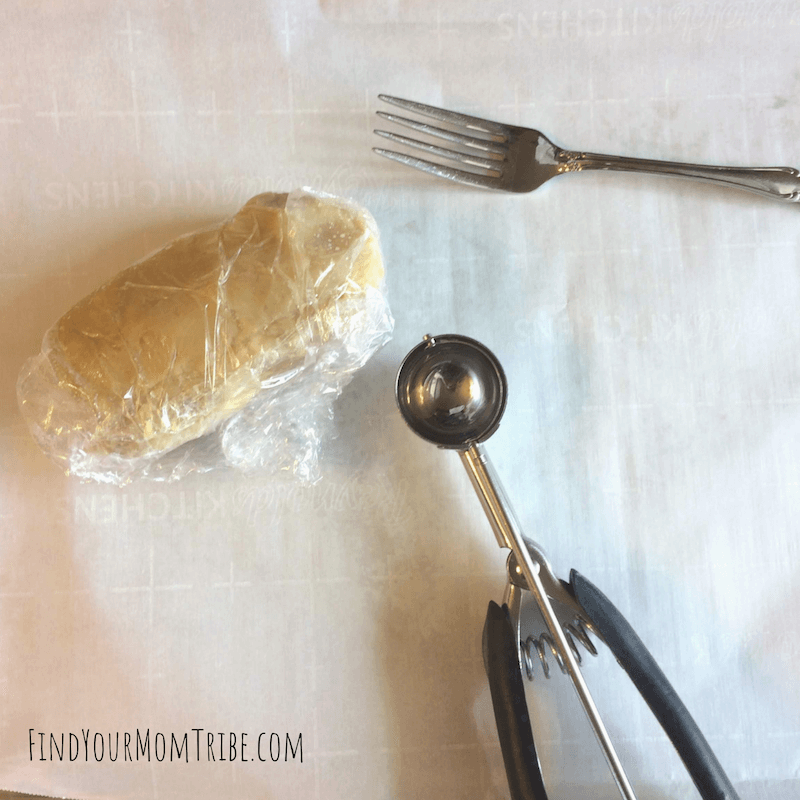 Once you have everything well-incorporated, form a ball with your dough, wrap it in cling wrap, and pop it in the freezer for 10 minutes or so. These lemon cookies work best if they are small, so I used my small cookie scooper to measure out almost-perfect even amounts of dough on a parchment-lined baking sheet. If you don’t have a cookie scooper, just use a small spoon. 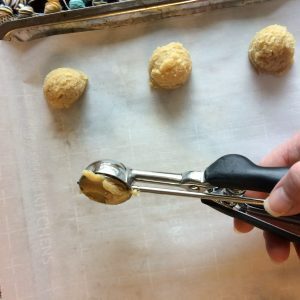 Each cookie will use about a tablespoon of cookie dough. The lemon cookies won’t spread or rise, so you don’t have to worry about leaving lots of room if you have a small pan. This lemon cookie recipe will make about 12 small cookies. Gently press down on each cookie ball with a fork that has been lightly dipped in water. Repeat in the opposite direction to make a criss-cross pattern. This will help the lemon cookies bake more evenly and also give them a nice texture. Bake the lemon cookies at 350 degrees for about 9-12 minutes. Keep a close eye on them and don’t let them get dark. Almond flour will taste bitter if it gets overbaked. The lemon cookies will still be soft when they come out of the oven. I know it will be tempting to grab one and eat it right away…but these cookies need some time to cool and harden. I usually keep them right on the pan and let them cool slowly. Enjoy these with a hot cup of tea or a tall glass of ice water. Yummm!!! Zest and juice 1 lemon. Combine almond flour, lemon juice/zest, and maple syrup in a bowl and stir by hand until well-incorporated. Form dough into a ball and wrap in cling film, freeze dough for 10 minutes. While dough is freezing, preheat oven to 350 degrees. Scoop dough into about 12 small balls. 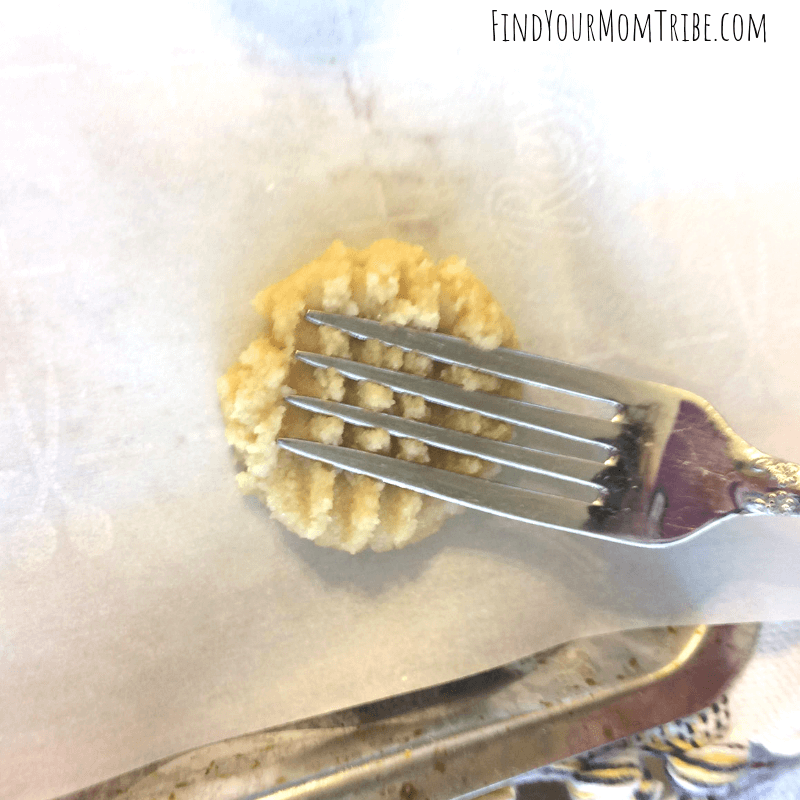 Dip a fork lightly in water and press a criss-cross pattern into each cookie. Let cookies stand on the baking sheet until very cool. This recipe is so versatile, you can tweak it to make almost anything! 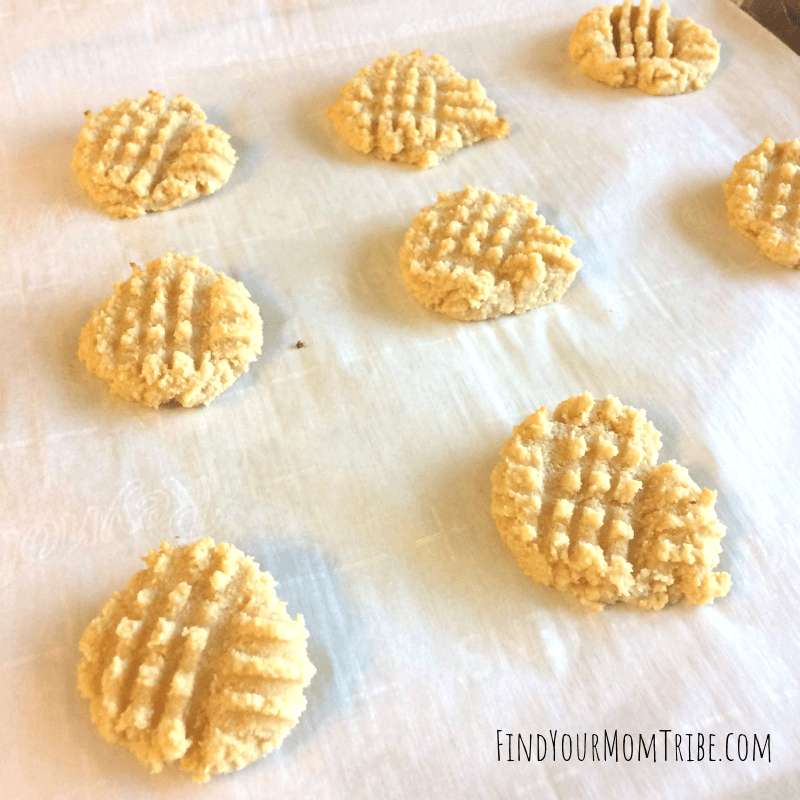 Orange cookies, snickerdoodle, strawberry, peanut butter, simple vanilla….the options are endless, so be sure to pin this recipe for later!